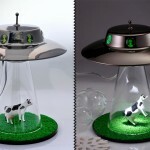 can’t decide if you need a table lamp, a night light, an ambient light, or even an art piece on your desk? then you really have to check out Flamio Light, an art-like desk lamp that can operate in a variety of modes; from regular table lamp for your reading needs to night light mode to ambient mode, and even accent mode to light up your feature wall. 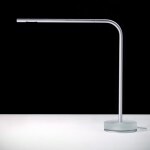 the lamp is composed of three parts: the curved, metal-plated track, the LED ring lamp, and the base. 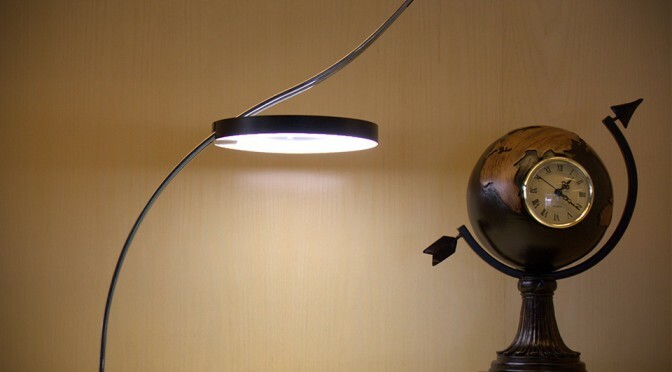 the curved track not only offers an eye-pleasing aesthetic, but also allows for the 9W LED ring lamp to be positioned anywhere along the track to suit your needs and thereby, letting you swiftly switched from a regular reading lamp to a night lamp, or simply to any position you desire. the ring lamp measures 19 cm (about 7.5 inches) in diameter and is capable of illuminating up to 1.5 meter square area (at 40 cm, or 15.7 inches height) at 100 Lux with a warm white color temperature (4,500K) that’s easy on the eyes, and on top of that, being an LED means it is totally energy saving, which needless to say, will save you on the bills. additionally, the lamp also provides dimming functionality, which along with the adjustability, allows you to further customize the light just the way you like it. 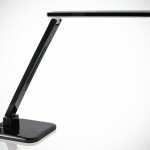 seriously, this could be the most complete lighting system in terms of light source flexibility we have seen to date. it is unfortunate that it has not managed to garner more attention, and so, if you guys can, do check it out at the product’s Indiegogo campaign page. for early adopters, you will be able to score a unit for just $80 plus shipping, which is quite a steal considering the eventual retail sticker will be $95. 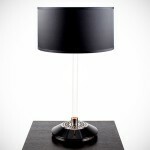 there’s a video below which you can learn more about the Flamio Lamp before you take the plunge. btw, this in flexible funding, which means one way or the other, you will get your stuff and the best part is, you won’t have to wait forever for it; it will is slated to be shipped by end of this year.